Two students studying craft techniques have won first prize for a watch box designed to hold a Vacheron Constantin watch. 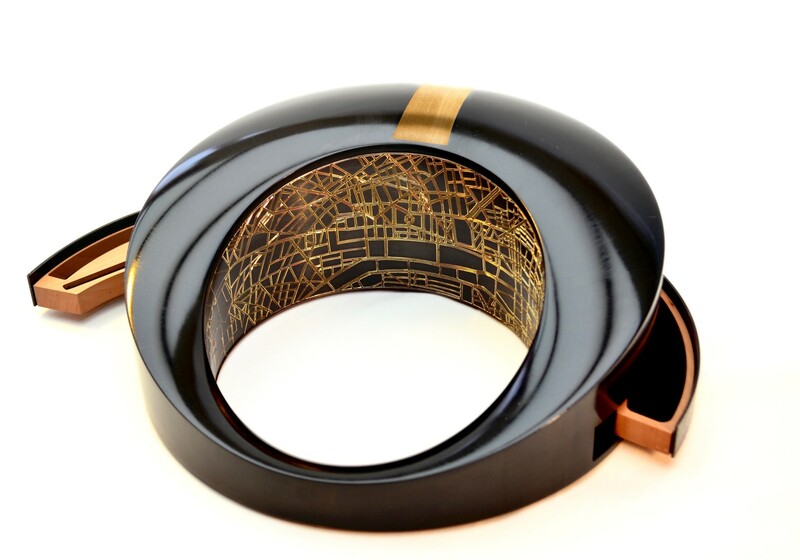 Corentin Ollivau and Clément Demarson, who study engraving and woodturning respectively at the École Boulle in Paris, won the Avenir Métiers d’Art – INMA 2015 for their ring shaped design with secret compartments. The creation was also the graduation project of the two final-year students. 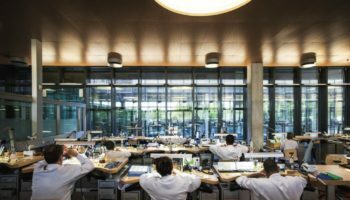 École Boulle and Vacheron Constantin have jointly undertaken a project to share knowledge and expertise. Inspired by the city of Paris, the presentation box created by the duo is made from multi-layered chequer tree wood and features a circular shape displaying an engraved map of Paris at its centre. The sides of the presentation box conceal a drawer to store various tools, while the watch is revealed using a gear train mechanism. The watch is thus highlighted on a platform at the centre of the presentation box, positioned above the engraved map of Paris. Demarson said: “A closer look at the specific gestures involved and the ergonomics of this creation reveals a ritual in the use of this object that tells its own story”. 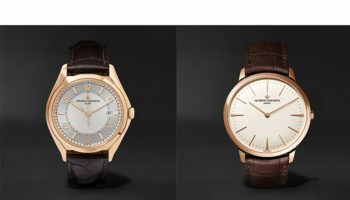 This one-of-a-kind model will be exhibited at the Vacheron Constantin boutique on the Rue de la Paix in Paris.